Pull up a chair and let’s pretend we are having a cup of coffee or tea together. Or, if you want to splurge, grab a coke and relax! Maybe later we will get the chance for a face-to-face visit at one of my events. In the meantime, thanks for taking your time to visit. First, I’d like to say that knowing God and being in His family is at the top of my credential list. I say this because all of the credit is in His corner, not mine. I felt God’s call and received Christ’s atonement for my sins when I was a child and, although I continue to fail Him, He continues to accept my repentance and welcome me home. So . . . 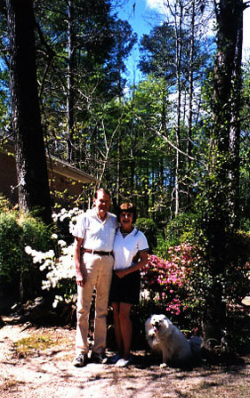 I can tell you about graduating from Huntingdon College, marrying the man who is still my sweetheart, attending graduate school, teaching, rearing two beautiful daughters and writing stories for over thirty-five years. I can mention the Bible study called Conquering Anxiety and list the anthologies and five novels but the most rewarding experience of all is being united to Jesus Christ. Today, my greatest desire is to be a good steward, use time wisely, bear fruit, and to help build God’s kingdom rather than my own.